Do you want to be 100% sure that your car is fit to drive? Did you know that that the MOT only covers the bare minimum? So bring your car into S & H Motors for the very best car service Poole has to offer and be sure that it is fit to drive. We also specialise in providing the best car repairs Poole has experienced. S & H Motors has demonstrated over the last 25 years that we are one of the best garages in Poole. When it comes to ensuring that your vehicle is road legal, it pays to hire the best. At S & H Motors, we have the expertise to provide each customer with an affordable car service in Poole that will help keep your vehicle in full working order. An MOT is only a concise inspection that ensures your car is legally fit to drive. It does not go into great depth like our car servicing does and will most likely miss areas of concern. What can S & H Motors do for you? When you choose S & H Motors’ Poole car service, you can be assured that our team will give you peace of mind and that your car will be safe to drive. Our highly-trained and experienced mechanics will leave no stone unturned in our car service in Poole. If we spot any potential problems, the team will inform you about the problem and the steps needed to rectify the problem. The team will work hard to ensure that your car is operating at peak performance and make the necessary changes to make certain that this happens. Once our car service Poole team has finished with your vehicle, you will receive a full report of our findings as well as any work that has been carried out. What is included in the car service in Poole? Your Poole car service will be carried out by our mechanics who will conduct a thorough inspection of your vehicle. We will service your car in accordance with the manufacturer’s recommendations and set guidelines. Any damages or faults will be identified and dealt with in the proper fashion by our car service Poole experts. We will also change filters, oil and check the pressure on your tyres. Our team will conduct the most thorough car service Poole will have ever experienced. What are the advantages of having your vehicle regularly serviced? At first glance, everything may seem as it should, but wear and tear typically occurs gradually and often problems won’t become apparent until it’s too late. Our car service in Poole will check all of areas of your vehicle including your critical systems to ensure that any faults are identified and corrected early. Book your car in now, and you may be surprised by what we find. This may seem like a no-brainer, but it is definitely worth considering when booking our car service Poole specialists. If you’re looking to offload an unwanted vehicle, you are more likely to receive more potential buyers and a higher selling price if your vehicle has a full-service history. Assuming that you’re not the sort of person who upgrades their car on a regular basis, you may be inclined to hold onto your current vehicle for as long as possible. The less time you spend maintaining your car, the more likely it is to fail sooner rather than later. Thanks to our Poole car service, we can ensure the maximum life cycle of your vehicle. You might think that it would be cheaper to simply forgo servicing and just repair issues as they occur. Not only is this false economy, but chances are that your vehicle will likely fail when you need it most. 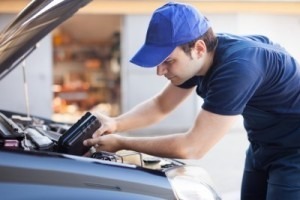 Simple routine issues that would be covered by a car service in Poole, if left unchecked, could turn into more expensive problems further on down the line. For instance, regularly changing your internal filters will increase efficiency and save you money at the pump. Likewise, if you neglect the oil levels in your engine, the resulting damage could cost you thousands to put right. One call to our car service Poole team is all it takes as we can provide you solutions that are far more cost-effective. Why choose our car service Poole specialists? With more than three decades’ worth of experience to call upon, our company are the number one choice for your car service in Poole. Over the years, we have worked hard to establish a stellar reputation for delivering services that meet our exemplary standards. As part of our commitment to being the best Poole car service choice, we actively benchmark our services to ensure that our prices remain the most competitive around. If you are seeking outstanding value for money from a company that can be trusted to put your best interests first, you should call S & H Motors today. If you are seeking the best car service Poole has seen, call S & H Motors today on 01202 680 660 and have a word with our friendly team.